What’s the spirit of life if not to be adventurous? 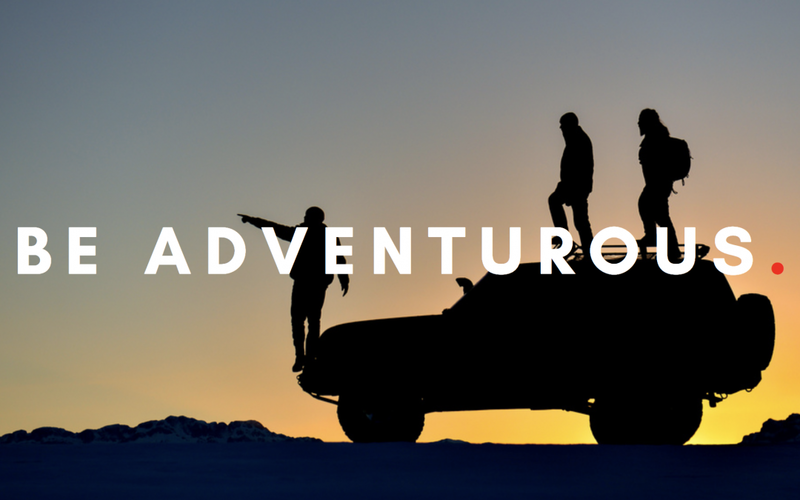 Taking risks and earning rewards is a big part of what drives our team, and that’s why “Be Adventurous” is our final pillar of values here at Dealer Authority. As mentioned in a previous pillar, our team is all about lifelong learning. We make it our mission to stay on top of industry changes and updates the minute they happen, as well as stay proactive in learning skills that assist us in our daily duties—such as taking a high-level Photoshop course to better design webpages or studying up on the ever-changing photo filters on Instagram. We create a culture of inquisitiveness in our company, where team members are encouraged to tackle whatever it is they may want to learn or skills they want to improve. One of our greatest strengths as a staff is our well-roundedness. We have team members with degrees in creative fields such as graphic design, film production, and creative writing; business fields such as sales and marketing; and continuing education credits such as leadership programs, Google Analytics, and digital strategy. Almost all of the members of DA have experience working for car dealers, either right on the lot or behind the computer screen. Our entire staff recently took the Myers-Brigg Personality Type Indictor Test, and we found that we have a near-perfect balance of personalities—from the more analytical thinkers to the more creative ones. Our diversity allows us to come up with innovative solutions and think outside the box, always coming up with creative and effective ways to go above and beyond for our clients. You can’t have a company without a team—and you can’t have a great company without an amazing team. We members of Dealer Authority are experts in our fields, have the experience to back it up, and have unique and individualized ways of thinking—all of which results in success. Knowledge is power, and the team at Dealer Authority knows this well. With the digital landscape constantly changing, it’s incredibly important to stay on top of new and emerging trends—along with keeping track of any changes in old standbys. We attend industry events like National Automobile Dealers Association (NADA), Innovative Dealer Summit, and Digital Dealer every year to gain valuable insight about the trends in the automotive industry, as well as presenting on what we’ve already learned. Our strategists stay up-to-date on relevant topics, reading multiple industry blogs (such as DealerRefresh and Social Media Today), and keeping open communication with other experts in the industry through emails, phone calls, and social media. We share what we know with the entire team, and regularly have meetings and Lunch and Learns to discuss what we’ve learned. 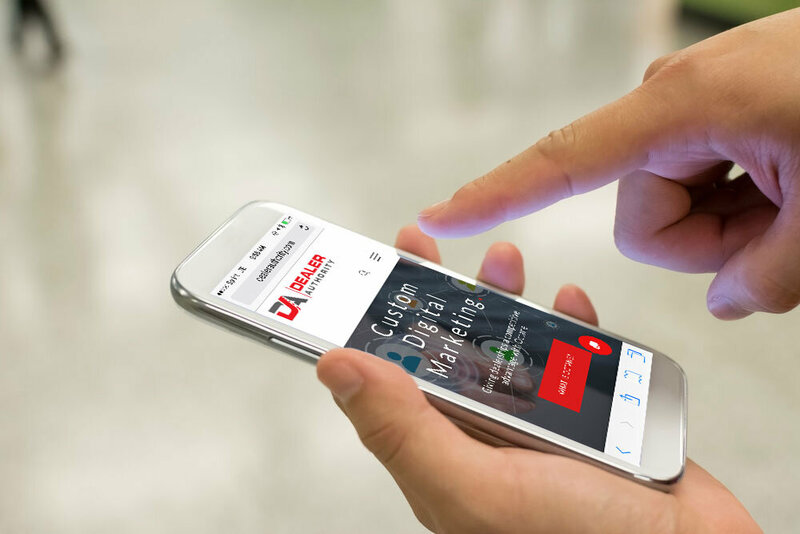 Our strategists at Dealer Authority are well-rounded, well-educated, and well-versed in all the topics needed to make your dealership’s online reach soar. Don’t fear change. Some say that “if it ain’t broke, don’t fix it.” We disagree. There’s no such thing as a perfect marketing solution. Everything has room for improvement. The better way to look at it is to find the areas of highest potential improvement whether they’re broken or not. Let’s say you’re social media is rocking. You’re getting engagement, playing around with dark posts, and compared to your competitors your Facebook presence is pretty good. It definitely isn’t broken, but is there room for dramatic improvement? In most cases, the answer is a definite “yes!” You can try running a few ads on specific models or special events to see how your engagement increases. You can test out different audiences to see what your reach is actually like. You can start a #MotivationMonday campaign to give followers something motivational to look forward to every week. No matter what, there is always room to grow, and our team isn’t afraid to take the calculated risks it tasks to get you to optimum success. We don’t settle for less than the best here at Dealer Authority—and that includes setting and achieving goals for our clients. We pride ourselves on the relationships we build with our automotive dealers, forming a deep understanding of your business, as well as knowing your dealership’s specific wants and needs. Give us a call today to see how we can help you!